In 1938, when FDR’s public works czar Harold Ickes (head of the New Deal agency PWA) decided Chicago would have two subways instead of just one, this presented a bit of a problem. 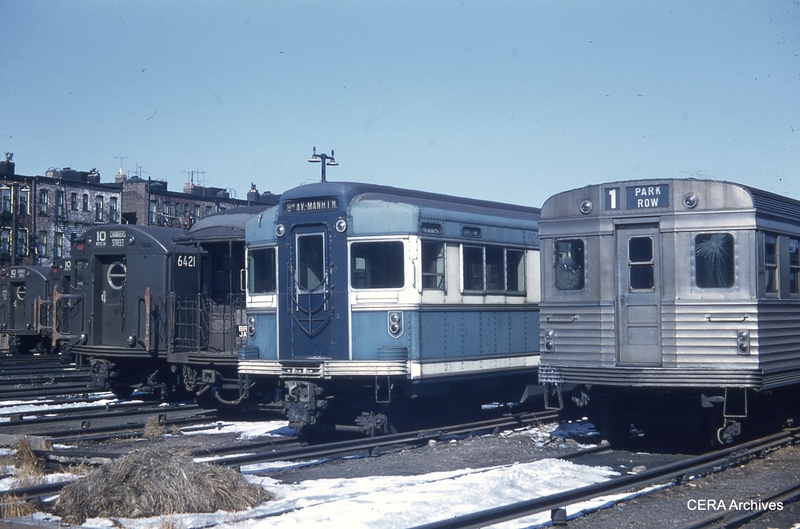 After all, the Chicago Rapid Transit Co. only had 455 (or, depending how you count them, 456) all-steel rapid transit cars- enough to get the State Street tube started, but not enough for Dearborn-Milwaukee as well. 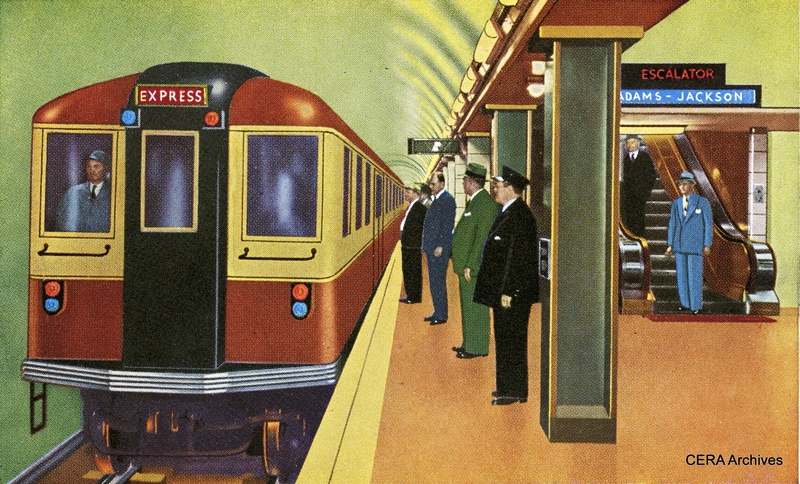 Ickes had overruled Chicago Mayor (and political rival) Ed Kelly’s 1937 plan for two east-west downtown streetcar subways for a revival of the Dearborn-Milwaukee plan, which dated back to the 1920s. Ickes solved the problem of what to connect this second subway with by routing it to the west in the median of the Congress expressway. You can trace the origins of that highway back to the 1909 Burnham Plan, but more as a boulevard, since there were no cars then capable of driving highway speeds. 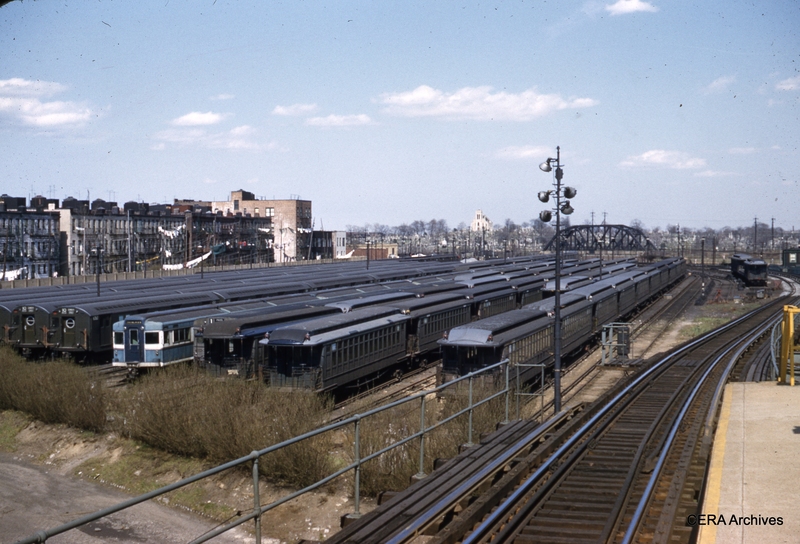 Kelly had wanted many of the west side “Ls” to be converted into New York-style elevated highways with buses running on them, except for the Garfield line, which would have been saved. Instead, the opposite happened. Garfield was transformed into the Congress line and the other “Ls” were kept. 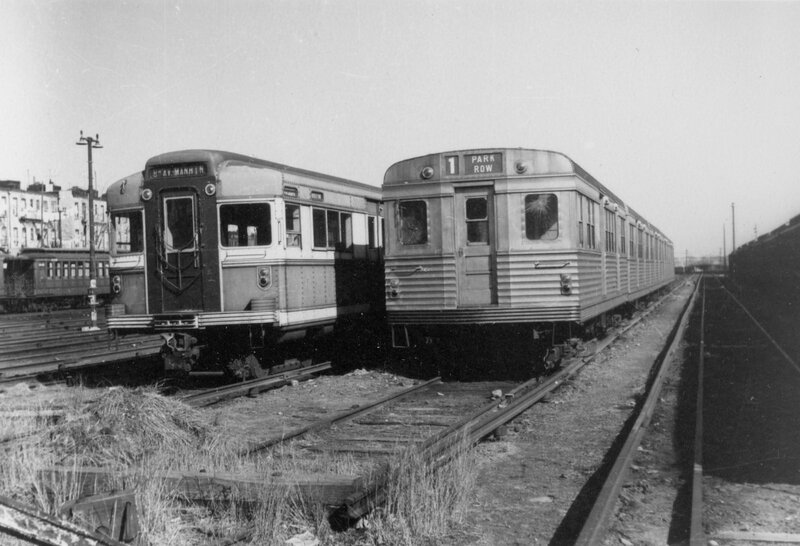 The Illinois Commerce Commission ordered CRT to obtain 1000 new modern steel subway-L cars in 1939 by any means necessary, but the bankrupt private operator had no funds to do much more than to make a full-scale car mockup. 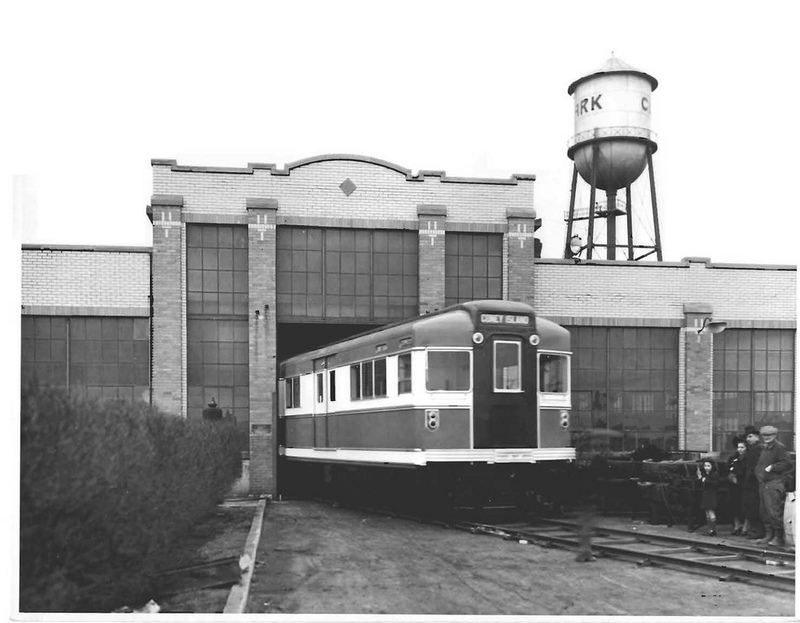 As a backup plan, Ickes had the subways engineered so they could have been operated by bus. The newest L cars were the 4000-series, the last of which was built in the early 1920s by defunct Cincinnati Car Company. Where to get new inspiration from? But like the 5000s, New York’s Bluebirds had a somewhat disappointing career. 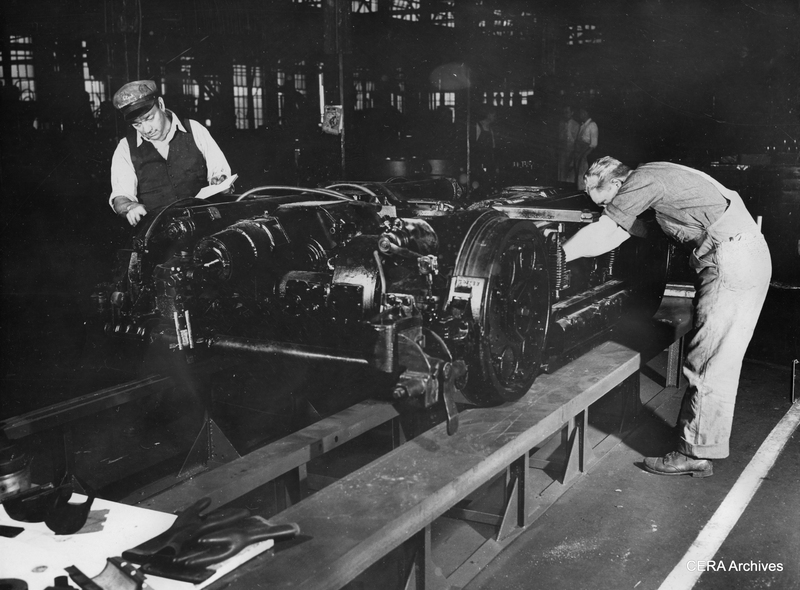 BMT had ordered 50 Bluebirds from Clark Equipment Company, supplier of PCC parts, but the City of New York took over the BMT in 1940 and immediately tried to cancel the contract. (BMT had intended to use them on many elevated lines that the city decided to tear down anyway.) Clark had completed five sets and NY had to take these. This meant only six sets in all, if you include the prototype that never had couplers installed. 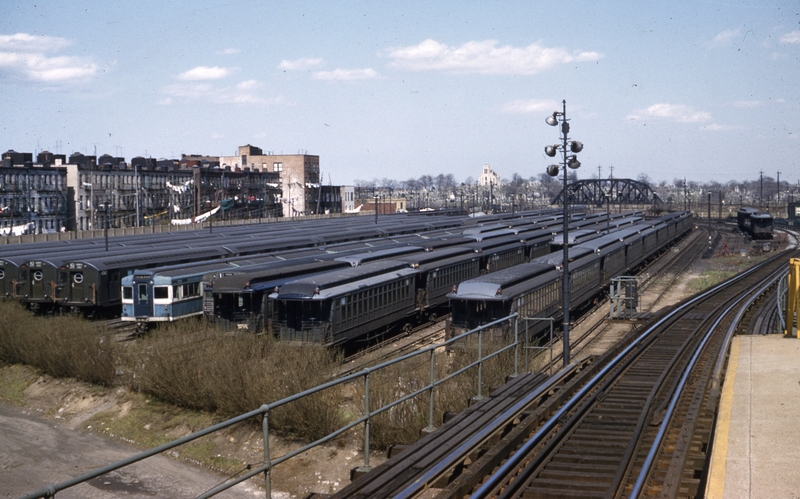 The Bluebirds, as oddball equipment, lived out their service lives on the BMT Canarsie Line and the Franklin Avenue Shuttle, before being scrapped in 1956. 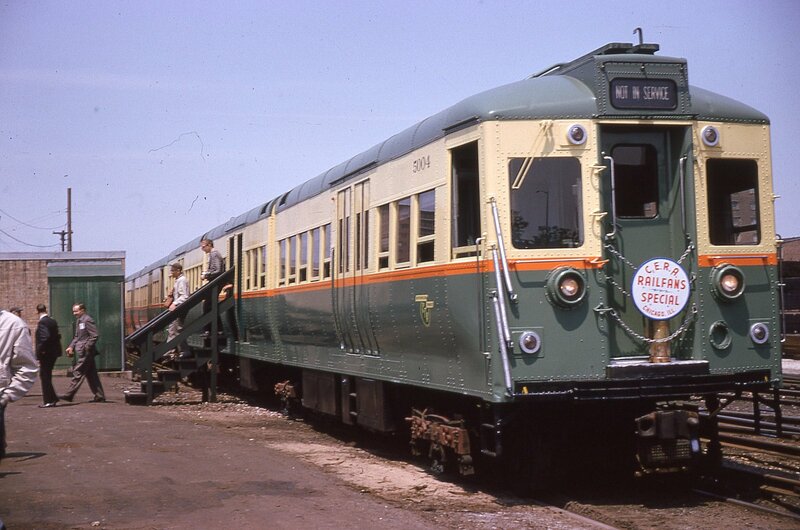 Chicago’s four experimental 5000s had a somewhat similar fate, being relegated to occasional use before finally being assigned to the Skokie Swift in the mid-1960s. 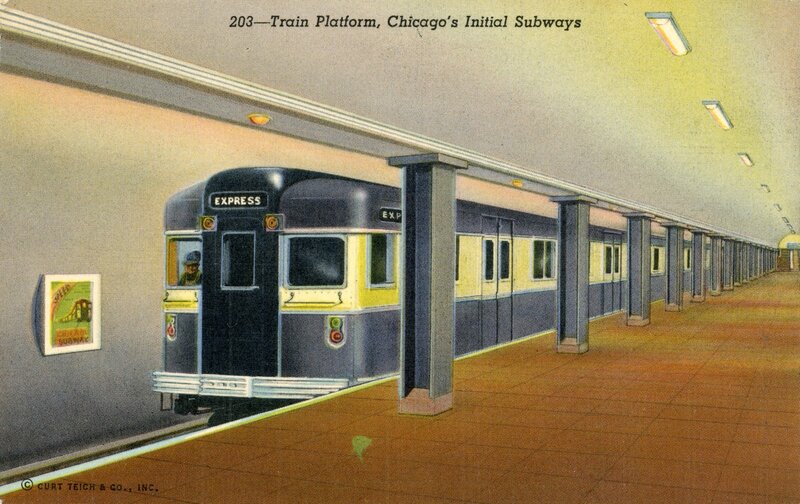 Chicago did not open the Dearborn-Milwaukee subway until 1951, and then only after receiving the initial order of 6000s, which were very much more successful cars than the Bluebirds or the 5000s ever were. A similar scene but in color. 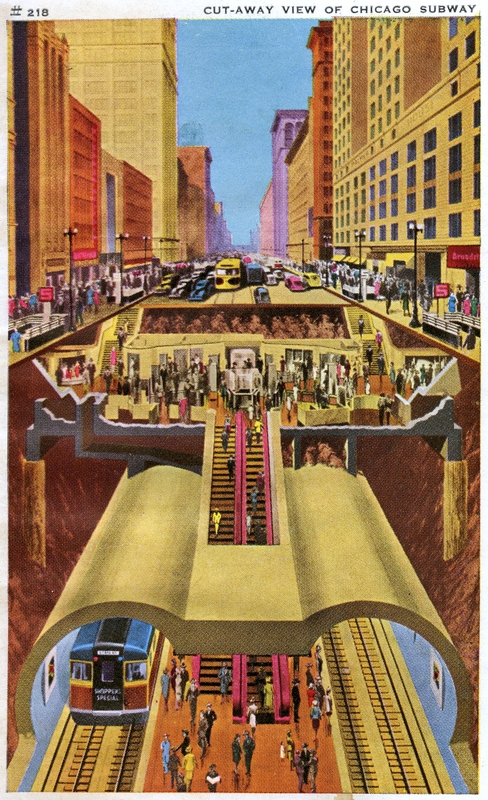 A fanciful 1944 view of Chicago’s new State Street subway, patterned after a famous 1943 photograph, but showing a BMT-style “Bluebird” in red. 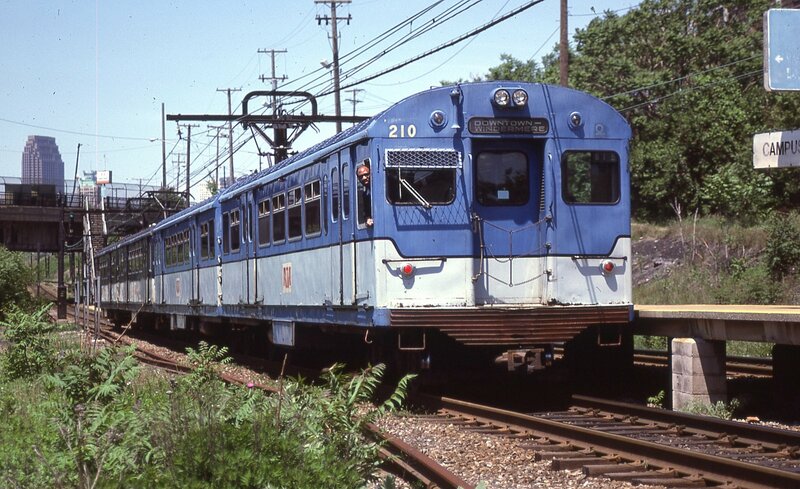 The “other” Bluebird PCC rapid transit cars- Cleveland’s, built in the mid-1950s, are shown here in this photograph by the Author, just prior to their retirement in the early 1980s.